How do you break through the clutter of college loan advertising and increase qualified traffic to your website? Re-engaged members through a repositioning campaign. 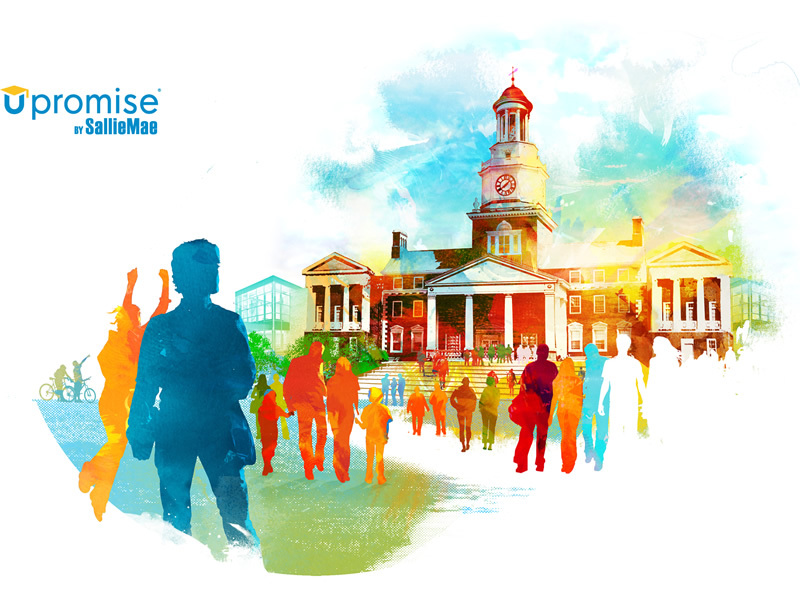 As Upromise closes in on giving $1 billion cash back for college, the company wanted to make its rewards program even more rewarding. 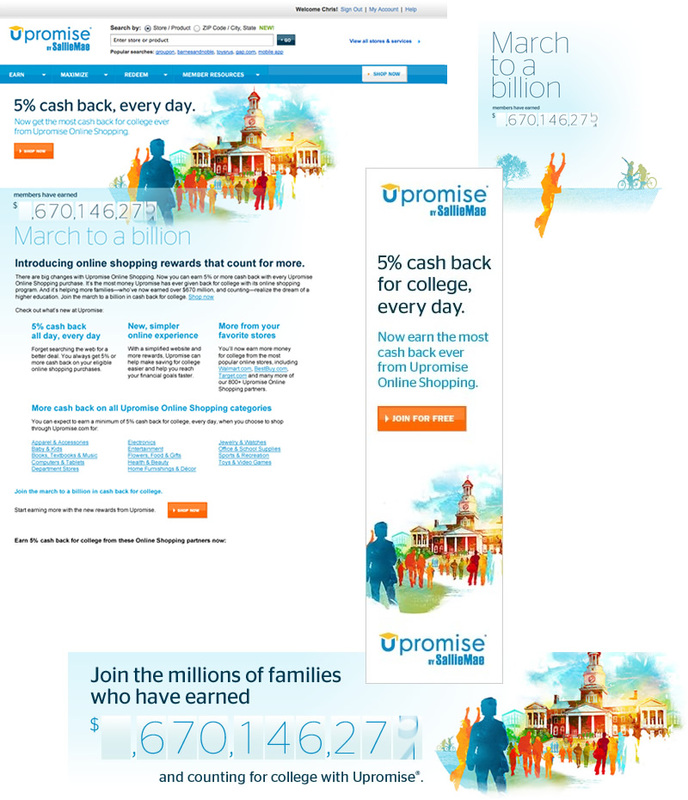 Upromise asked us to create a digital campaign to build on its momentum. Our solution combined hard-hitting numbers and illustrations to inspire more families to join the march towards a college education. Connect with us today to find out how we can create a new position for you. We're inspired by what motivates people and how carefully crafted messaging can create a more meaningful way to reach them. We believe it's what gives our creative the power to change perceptions, transform behavior and move people to action.